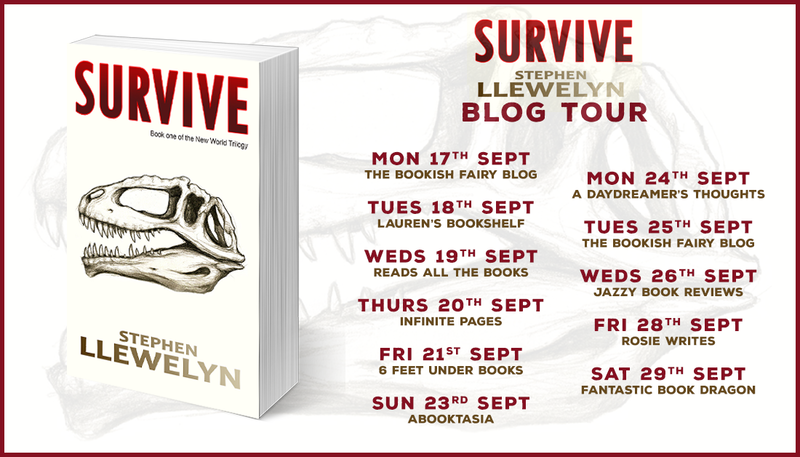 Stephen Llewelyn – Books and other scribblings! 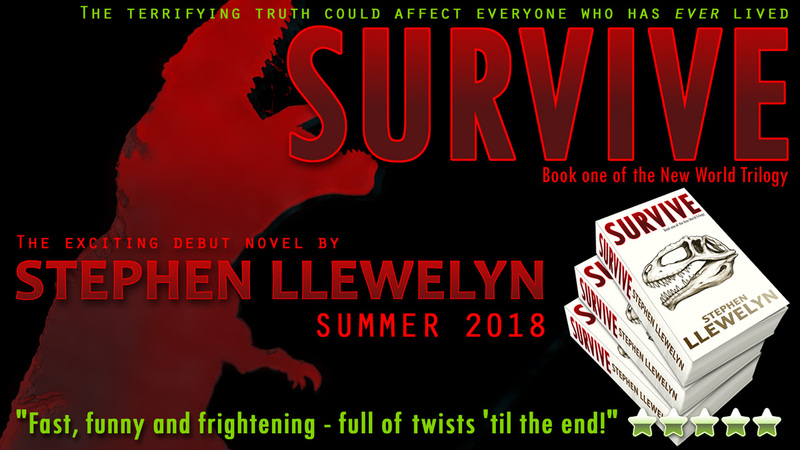 Upcoming blog tour for the official release of Survive 18th September 2018! PROVISIONAL RELEASE DATE FOR PAPERBACK 18TH SEPTEMBER! A young man and his mother fight to leave tragedy behind. A terrorist attack. An explosion at the event horizon of a wormhole. A murder. A trail of clues, misinformation and sabotage. Nothing is as it seems as an old enemy returns from the shadows. 100 years from now, the 100 souls aboard the USS New World are thrown back 100 million years to the deadly Cretaceous Period. From there, an epic fight to save humanity begins; but first, they must survive. A multi-national, eclectic crew; among them the good, the not so good and the no damned good at all. Loss, courage, genius and sheer bloody-mindedness bind them. NASA Captain, James Douglas, and his first officer, Jill Baines, expected a taxi run to Mars. Now they must escape a fearsome Mapusaurus pack, survive natural disasters, brutal discoveries and treachery. Friendships are tested to breaking point as the crew has no help but each other. 5% of the author proceeds from ‘Survive’ will be donated to Mind – the mental health charity, in the name of Hannah Armstrong. Hannah was the talented young artist who drew the beautiful still-life pencil sketch of the Giganotosaurus skull, used on the cover of ‘Survive’.